Over the past couple of years I have often needed reference resources on the subject of public and private cloud. I would much rather draw on models, principles and practice that is already been invested in by others. The Microsoft information is readily available and has been useful in formulating my ideas. 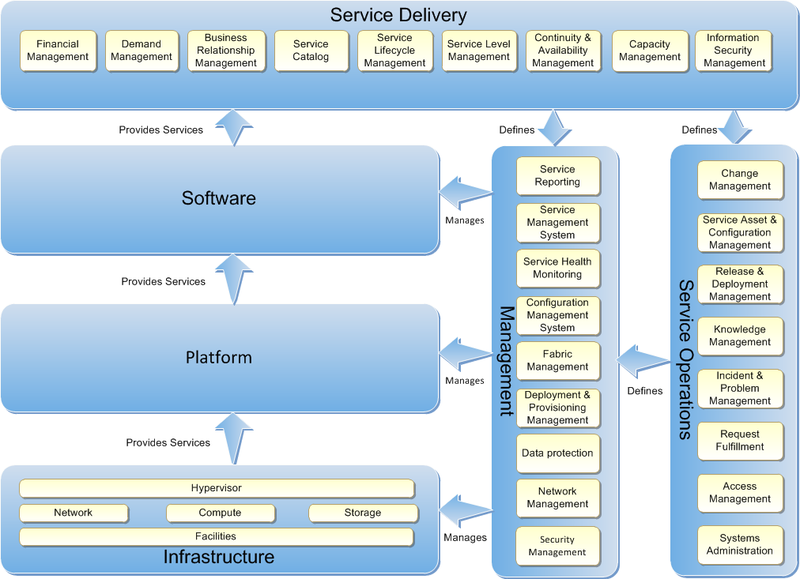 I have found that the Private Cloud Reference Model shown below, from Microsoft is a very useful way to describe private cloud and the context with alignment to ITIL. The relationship with ITIL especially in the UK is very logical as the real focus of Private Cloud is about delivering service rather than technology.